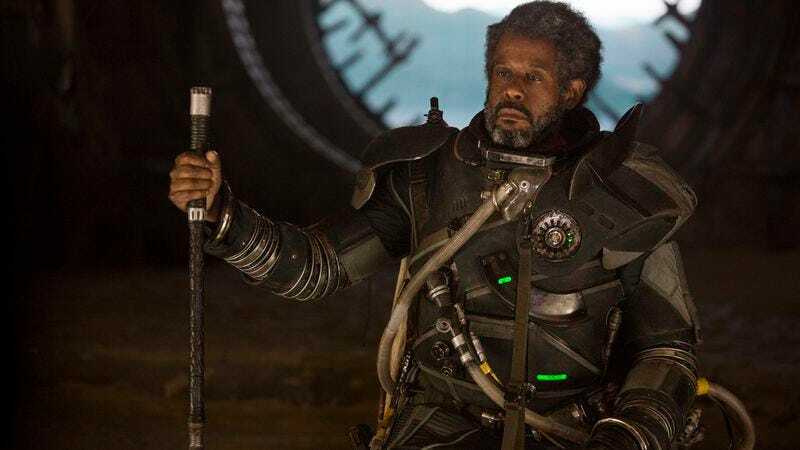 If you’ve seen Rogue One you’re aware that Forest Whitaker adopted a distinctive, raspy voice in order to play Saw Gerrera. Well, Whitaker’s wheezing sounds will soon be heard again in Star Wars Rebels. According to TVLine, the actor will do an animated version of the character on the Disney XD show. In a statement, Rebels executive producer Dave Filoni said “it’s an incredible honor” to have Whitaker on board. “Forest did a great job at capturing Saw in a way that is a bit mad, a bit crazed, a bit afraid, but also a bit sympathetic,” he added. “He sees something coming, but no one will take action before it’s too late.” TVLine reports Whitaker’s first Rebels appearance will be in a two-part episode airing January 7. Though Saw figured into The Clone Wars, where he was voiced by Andrew Kishino, a Toys “R” Us poster initially clued us into the fact that he would pop up on Rebels, which takes place before the events of Rogue One.